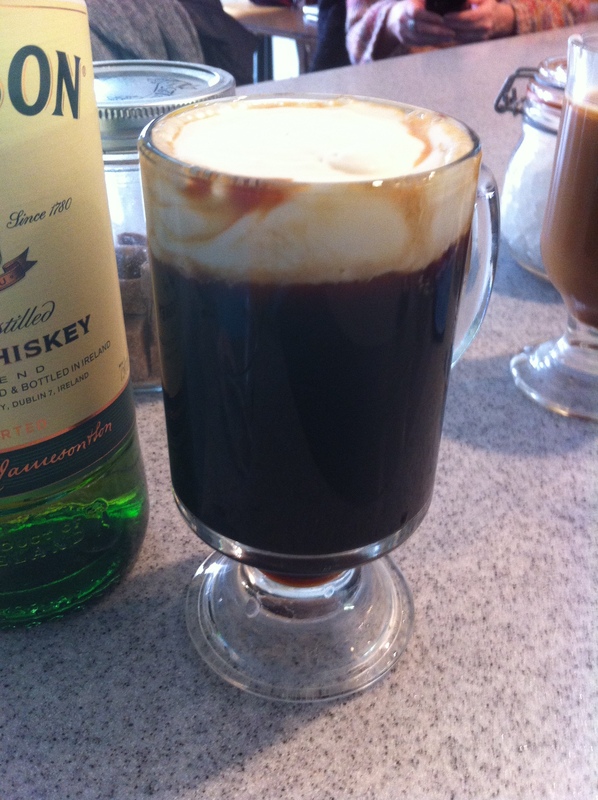 Irish Coffee seems simple enough; glass mug, Irish Whiskey, hot coffee, sugar, whipped cream, right? Well, let’s say close. But after making one with these ingredients you may enjoy it, but wonder why it isn’t quite what you expected or that it isn’t even all that special. A closer look at the details of this recipe and you will understand how a few simple tweaks to this recipe will make it into something special. The most important part of this drink is the ‘whipped’ cream float on the coffee. The rest is as easy as quality medium roasted coffee that won’t overwhelm the Irish Whiskey that you are using, yet will have the backbone for some added sugar…and compliment a fine cream topping. There are many recipes and opinions for making Irish Coffee, but the usual points of contention and confusion come with the coffee cream topping. Canned whipped cream with some green mint syrup just doesn’t cut it anymore for a proper Irish Coffee made at home or in a quality bar or pub. Even a solid whipped cream from scratch, while better than from the can, does not quite give me what I want on top of an Irish Coffee. Instinct, taste and experience points in a slightly different direction than whipped heavy cream. 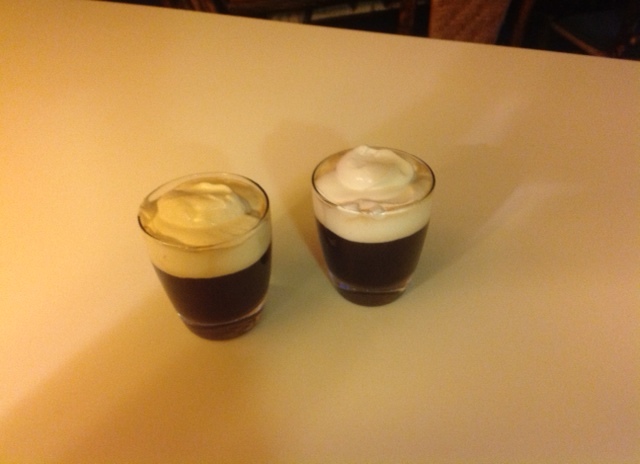 To me, the Irish Coffee cream should be more like an airy double cream. Thick but not fluffy. Heavy, yet still light enough to float. Slightly pourable. A little funky in a rustic way, yet retaining the youth of a fresh, sweet cream. The public is starting to become aware of the many dairy products and styles from around the world and one very important style is the thicker, high fat double creams from Ireland and England. Hard to find in the States, but a very important part of making a good Irish Coffee cream. When I was a kid in northern Minnesota, we lived by a dairy farm and always had unpasteurized fresh milk from the dairy farm up the road. 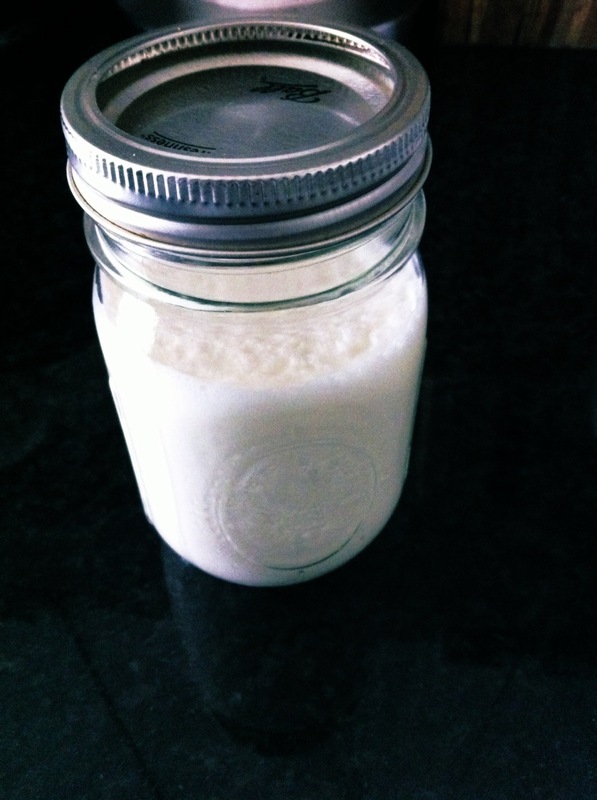 We would fill gallon jars with fresh milk. It was real whole milk so the cream rose to the top and was about at least a 1/4 of the entire content of the jar. We would either shake it up and drink it that way (serious milk mustaches!) 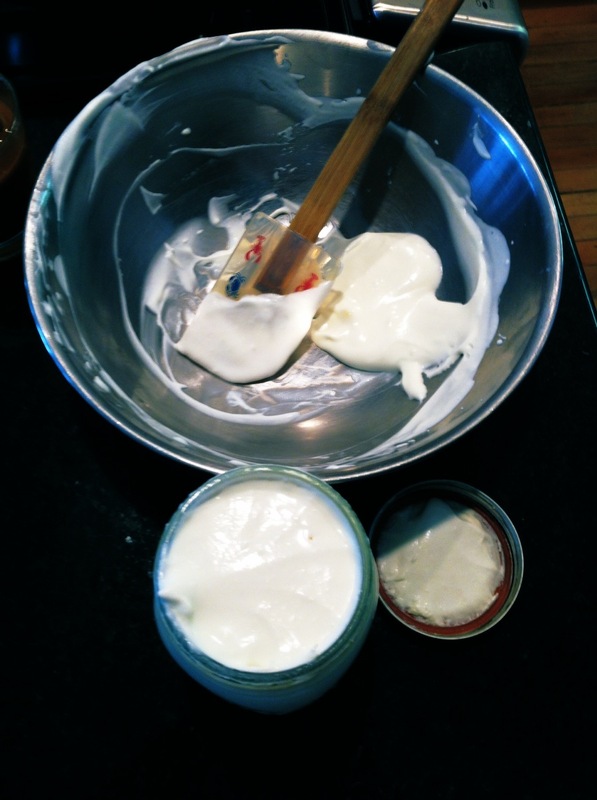 or siphon the cream off and use it for whipped cream, over fresh berries or make butter with it. It was very thick and not like what you get in the grocery store. It was pure cream and I suspect was more like a double cream. But it’s very difficult to find a double cream in the US so what can one do to get the consistency, taste and aroma that you want from using common American style heavy cream? I thought I would try making a crème fraîche, add some sugar and vanilla, and then whip it up a bit before it became too solidified. My thought was that this would provide the slightly cultured aroma and taste that I was looking for and be the pourable, slightly sweet floating cream needed for topping your Irish Coffee….and it was. We never made crème fraîche back when I was a kid or even heard of it. But, when I did learn about it, it seemed very familiar and natural to me since it had those blends of aromas and flavors that were part of my memory. At first this may seem like too much trouble to go through, but it is ridiculously easy to make and a cool skill/knowledge to have and has many other uses in the kitchen. The most important part of making this crème fraîche at home is that you can customize the process so it is perfect for an Irish Coffee cream. The recipe consists of heavy cream with a touch of buttermilk as the culture starter. This is then allowed to sit at room temperature for a day. You can get even deeper into the details of this process by finding more natural, locally produced milk/cream and cultures but those will take a trip to the country and a local dairy farm or ordering cultures. But the following recipe is as far as we need to go for this trip. 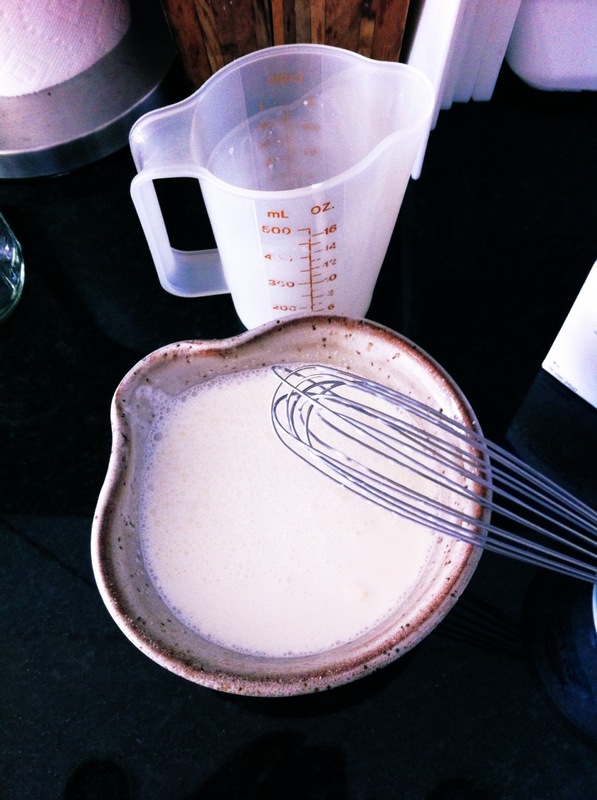 In a non-reactive mixing bowl add the buttermilk and heavy cream and whip with a wire whisk. Add this to a jar and cover it, but don’t seal it. It needs to breathe a bit. I usually just put the lid on the jar but don’t tighten it. Let this sit for approximately 8-12 hours. Make it in the morning for evening service. Check it for consistency from time to time to see how quickly it is thickening. When it is thick and coats a spoon, it is ready to add a touch of sweetness. In this recipe I use a rich simple syrup instead of powdered or granulated sugar. It mixes much more easily. I like to use refined cane sugar for the cream to avoid adding any other flavors I might be getting from the coffee. The cream and coffee should be compliments, not redundancies. It is important that the cream isn’t noticeably sweet like normal whipped cream. It definitely needs a touch of sweetness for dimension, but there will be sugar in the coffee and whiskey so the cream will be a cool balance to the hot, sweeter and earthy coffee and whiskey combination. In a non-reactive bowl, add cream, simple syrup and vanilla. Beat by hand with a wire whisk to add some air. 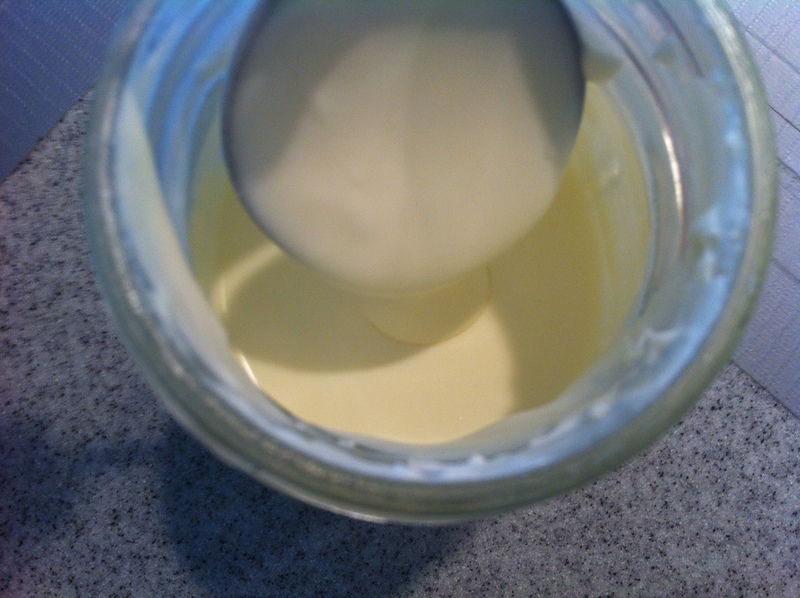 You could also just add the syrup and vanilla to the jar already containing the crème fraîche, tighten the lid and shake it until you have a slightly airier whipped consistency. Taste for sweetness and texture. 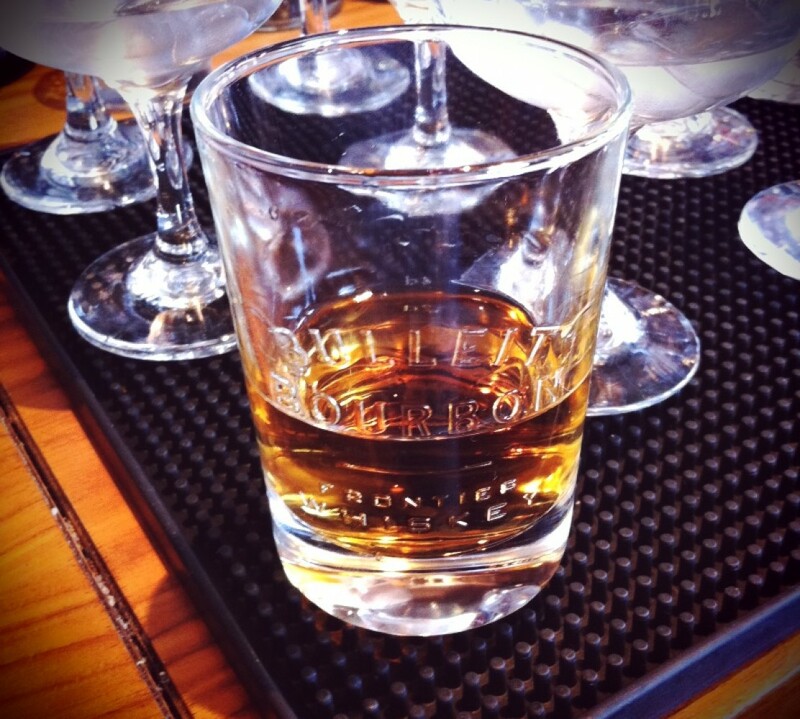 Adjust to your palate if desired. Store in refrigerator. For the Irish Coffee I prefer a robust coffee, but not so robust that it overwhelms the whiskey and other flavors. I do like an unrefined or raw sugar in the coffee at this point which will add natural depth and aged tastes. Demerara sugar or Azucar Morena are both readily available. Make a 2-1 syrup for this recipe. Before making your Irish Coffee, add piping hot water to your 8 oz coffee drink mugs and let rest while you get ready to pour. You can use whatever sized mug you like and adjust ratios accordingly, but 8 oz is a good place to start. 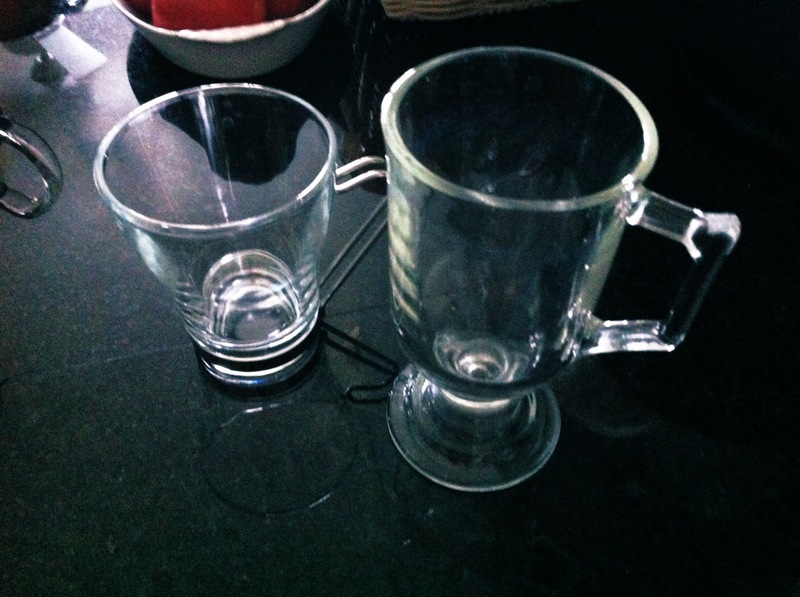 The hot water will help keep your mug hot before and after serving. Use glass mugs so you can show off the coffee and the cream. When ready to serve, dump the hot water. Add Irish Whiskey and demerara syrup. Top with coffee, leaving room for cream. About 1/4 of the mug should be free at the top. Use a spoon and, holding it just touching the coffee, gently pour the cream onto the spoon allowing the cream to float over and then onto the surface of the coffee. Fill to the rim. 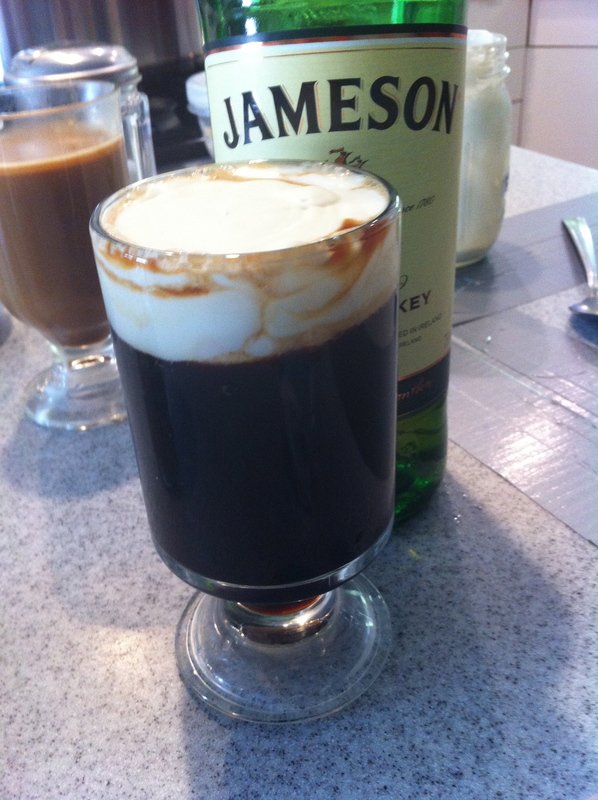 Your Irish Coffee is ready to serve. No extra garnishes or straws/stirrers are necessary. Each sip should give you part cream and part whiskey/coffee in your mouth which should make you happy. If you do wish a garnish of some type, I recommend a light dusting of grated cinnamon or ground cocoa nibs on top of the cream. You could also use pure maple syrup or even a liqueur in place of the sugar syrup in the coffee. The herbal base of Benedictine or Drambuie would make them great complimentary additions to a jazzed up Irish Coffee.